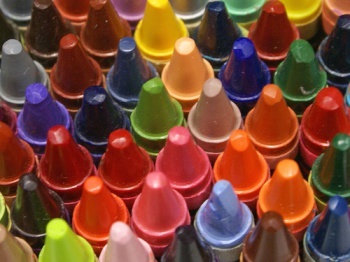 Forget puzzling over complicated career assessment questions - just pick your favorite color. There's no shortage of quizzes, personality tests, and ill-tempered guidance counselors that will claim to predict your career-related future. The process usually involves answering a plethora of dull, confusing, or just plain bizarre questions about yourself. Instead of spending ages trying to decide what your best quality is or what one thing you'd give to the homeless, we at The Escapist have found a simpler solution. So just kick back, relax, and pick your favorite color. While the Dewey Color System career test isn't exactly new, it's a laidback - and surprisingly savvy - personality assessment based on color science. Or voodoo, it's not really clear. But it doesn't cheat by sticking to vague feel-good qualities that anyone can be said to have, so that's a plus. Our quick-but-assuredly-super-scientific sampling showed that the test has surprisingly good accuracy, which is all the more impressive because, you know, colors. There's a simplified version of the test you can take here if you're feeling especially lazy - it's literally just two questions. If you want to kill a bit more time, or don't think the short version really captures your complex and unique personality, the complete version is here. Both versions are a breeze, so give it a shot and let us know how you think it stacks up.